Snapfish offers a wide range of products and services at incredibly low prices in Australia. These Snapfish promo codes expire soon, so don’t forget to bookmark this page now. 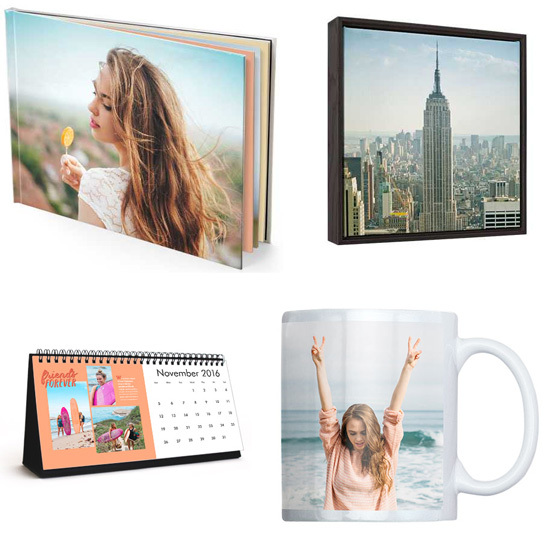 New Snapfish discount: Snapfish is offering flat 60% savings on all their products such a photo books, canvas prints, calenders, gifts and more. Snapfish free delivery offer: Order photo books, prints and photo gifts from Snapfish to receive home delivery for less price. Limited time Snapfish coupon: Shop for 20x28cm hardcover book prints from Snapfish available with $23.12 discount. Snapfish free delivery offer: Purchase best framed print from Snapfish to save $17.95 on RRP. Limited time Snapfish coupon: Shop for classic coffee mug with printed photos from Snapfish to get $10.75 discount. New Snapfish discount: Take advantage of this great offer from Snapfish and order Poster prints starting from $9.95. Exclusive Snapfish voucher codes: Create a 20x25cm (8x10") Photoblock and display your precious photos on a sleek wooden block for $14.95 only at Snapfish. Latest Snapfish promo code: Personalise your mug with your favourite photos, embellishment and text from Snapfish for as low as $17.95. Latest Snapfish promo code: Get 28x35cm Wall Calendar designed for home or office from Snapfish to start any month with special photos for just $39.95. Seasonal Snapfish deal & sale: Create a starling gallery of your favourite scenic, travel or occasion photos with Snapfish Classic Canvas Prints for just $44.95. Snapfish offers customers engaging in innovative ways to store, print and publish their photographs. Once a photograph has been uploaded to your customer account on the website, it is easy to turn it into a simple print, a photo book, a work of art, or even a personalized gift for a loved one. Users can import photographs to their account from many popular social media accounts. Directly upload a photograph from your computer or phone if it doesn’t already exist online. Orders can be shipped to a physical location near you for in store pickup or sent directly to your home. 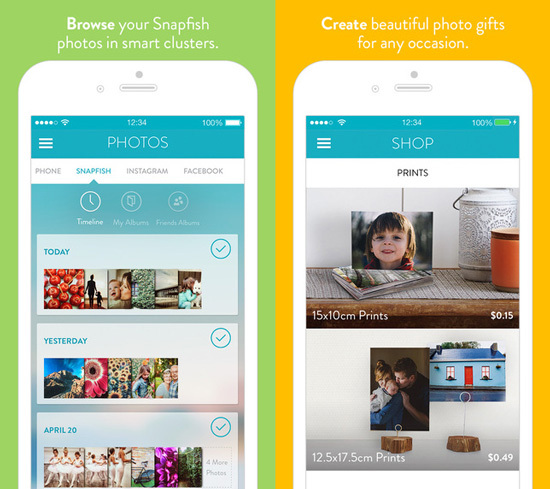 All photo albums hosted on Snapfish are easy to share with family and friends, even those who don’t use social media. The level of customization at Snapfish is really up to you. Once you have your perfect photo, you can turn it into nearly any object you wish. Some popular examples are key chains, calendars, photo books, snow globes, cards, invitations, and any size print you could want. Snapfish is a multinational company with locations all over the world, including the USA and Australia. Many items are on sale at any given time at Snapfish. Customers can find sale items in the “Deals” section of the website. The Besties sale entitles customers to discounts on some of Snapfish’s top selling items, including photo books, canvas prints, cards and key chains. Some items are at a 70% discount. Shoppers can add a personalized photo to mementos and home items or find handy gifts for family just by browsing around the Snapfish site. Items range in price from as little as $.15 each per photo to more elaborate choices such as large canvas prints that cost over $100. Snapfish is ready to accept your discount and coupon codes! Enter the code into the field designated for that purpose in your shopping cart. Click ‘apply’ and be sure the code was accepted. Continue shopping or check out. Unfortunately, some codes and deals cannot be combined with other offers, so please be aware of this when ordering. The Snapfish channel on YouTube uploads a variety of content that is useful to photography lovers and users of their website. There are many tutorials available where customers can learn from the Snapfish experts. There are also promotional videos that feature new products launching or that are on sale. This particular video details information about the new, improved Snapfish website and introduces new customers to the brand. It offers several helpful ideas and shows many items customers can create on the website. The ease of use of the mobile apps is highlighted in this video. Create beautiful memories by making the best use of your photos for personalized photo collage, mug, book, etc. through Snapfish. Opt for great savings with the help of various discount & promo codes available at our Photography section. It is effortless to receive your photos from Snapfish. They will ship directly to your home or to a store near you. Receive a shipping notification email when your order is about to ship containing an estimate of the days it will take to arrive. This option can take 10-14 days. Receive a shipping notification email which includes an estimate of days until your order arrives. Express Post rates and delivery times vary. Customers should consult the order processing and shipping time’s section of the website for specifics. Have your order shipped to a store near you and pick it up when it is convenient for you. Your shipping notification email will help you keep track. Apps for Snapfish are available for iPhone, iPad and Android devices and support the most used software versions. Users can add and edit photos from the app, view albums and share from a mobile device. Snapfish offers several convenient ways to reach their customer service department. Users can chat with a representative live by way of a messaging system on the website. This service is available Monday to Friday, from 9:00 a.m. to 12:00 a.m. AEST. There is an email option on the customer service page as well, but it is truly a contact form through which one can submit a question. This is a great option for long, detailed questions or concerns with a past order. Find the best discounts on Vistaprint & Shutterstock. They are among top retailers providing similar range of products. Contact form available on site.